The next day we awoke to more perfect weather, some sleepy eyes and a large interest in hitting the road, as my fellow vinopanions and myself had a 3 hour drive to Sonoma. We made it in the nick of time, registered very smoothly and got a great goody bag of fun before the 2nd annual Live Wine Blogging (Speed Blogging, Wine Speed Dating, etc) got rolling. It was here that the conference hit a major snag…imminently crashable wifi. We were only able to get about 2 minutes of connectivity before we lost our connection…after finding out that it was partly due to a DNoS attack, the joke was that Parker was on the offensive again! After the American Wine Blogger Awards ceremony, we rebooted the Live Blogging and had another blast of a time. Wines from Snows Lake and Tandem kicked my booty for wines of the session. Following that was a the Grand Tasting of Sonoma Wines, a very tasty dinner courtesy of Sonoma County Tourism & Sonoma Valley Vintners and the official afterparty tasting by the Russian River Valley Winegrowers. Wow and that was just Day 1! I began Day two in surprisingly better shape than the last two…go vino-power! Sleepy wine bloggers dragged their butts into shuttles and headed over to Napa for a full day and evening of wine events, powered by Napa Valley Vintners. First stop was the iconic CIA at Greystone for a few keynotes talks, including a fantastic one by Barry Schuler (Twitter) of AOL fame and current Meteor vintner in Napa. We piled back in the shuttles and mine ended up at one of my favorites, Cuvaison, in their newly finished facility in Carneros. There we had lunch and a great discussion about Napa Green with President, Jay Schuppert. We then headed to Staglin for a Vintners’ Panel, followed by the Napa Grand Tasting at Quintessa. We finished off the our time in Napa having a great meal and blending session at Conn Creek. Kept warm on the way home courtesy of some Mutineer Obsello Green Fairy, we finished the whole day with an outstanding tasting of Portuguese wine, courtesy of ViniPortugal (Twitter). Day 3 started with some educational breakout sessions, including a good one by newly crowned Murphy-Goode Job winner, Hardy Wallace (Twitter) and Lisa de Bruin (Twitter)and co., talking about video blogging. We bid farewell to the conference as we darted out for the last event(s) of the day, but man, were they good final events! We dined under the trees and umbrellas with an outstanding meal at Dry Creek Vineyard, which also featured some fine wines from Gustafson and Rued. 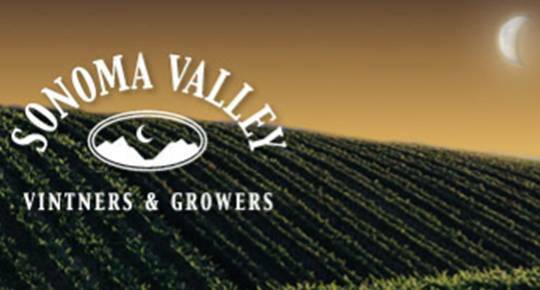 The lunch and subsequent goodie bags and treats were courtesy of the Winegrowers of Dry Creek Valley. Following that, I chose to attend the vineyard walk at Michel Schlumberger (Twitter), courtesy of Sonoma Vineyard Walks. It was led by the inimitable Judd Wallenbrock (Twitter) and Jim Morris (Twitter) and company…very good times and good wines! Exhausted, we headed back to our less vinous lives and left the wonderful Sonoma Valley. What an incredible time and I don’t think that I can thank organizers Joel Vincent (Twitter) of Open Wine Consortium and Allan Wright of Zephyr Wine Adventures nearly enough for such a great weekend. Another big thank you goes out to the conference sponsors, without which this conference would not only be incredibly expensive, but actually lack existence! Look for more posts from the WBC09 (Twitter Search) in the weeks to come, as I go into more detail about certain wine adventures that I had throughout the weekend. Right now however, I’m headed out on vacation for a week+ from the day and night job with the Lady, relaxing at Sanctuary Camelback Mountain in the Arizona desert. I’m greatly looking forward to (almost) completely disconnecting and enjoying fine food, workouts, cigars and of course, *wine*.Woot! We are honored that Cuvaison is one of your favorites! 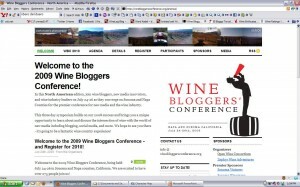 Vinopanion | Blog | Pre-WBC09: Twisted Murphys Wine’n!